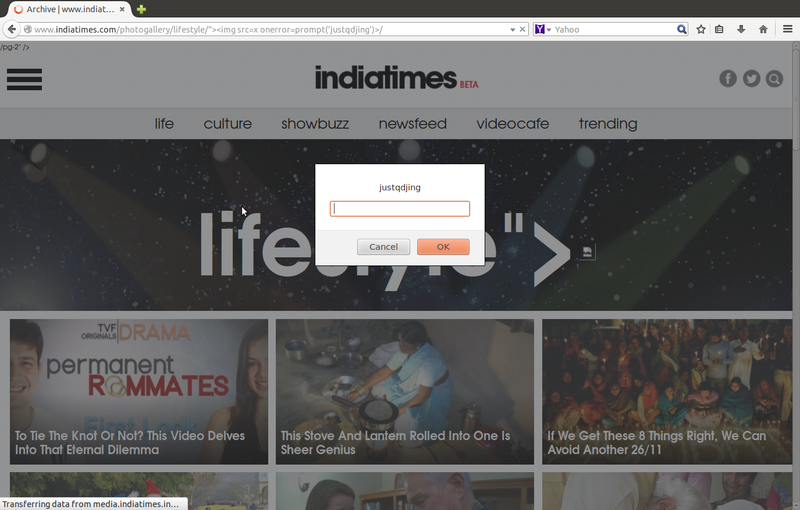 The code flaw occurs at Indiatimes's URL links. Indiatimes only filter part of the filenames in its website. All URLs under Indiatimes's "photogallery" and "top-llists" topics are affected. Indiatimes uses part of the links under "photogallery" and "top-llists" topics to construct its website content without any checking of those links at all. This mistake is very popular in nowaday websites. Developer is not security expert.